Employee furloughs are mandatory time off work with no pay. The goal is to save money for the company by lowering employee salary expenses. While employee furloughs can be a positive alternative to layoffs, they have negative consequences, too. Employee furloughs can occur in public- as well as private-sector organizations when revenue or projected revenue fails to match expenses. Revenue is generated through product sales, grants, and governmental support and subsidies. Some companies have regular furloughs. For instance, a lawn care company might shut down after fall cleanups are done and not reopen until spring. However, seasonal work isn't the only time when furloughs can occur. When a factory has difficulty getting suppliers to provide enough materials, it may make sense for the company to go on furlough rather than to continue to pay employees who cannot make the product. How Is an Employee Furlough Different From a Layoff? In mandatory employee furloughs, employees take unpaid or partially paid time off of work for periods of time. The employees generally have either scheduled time off or call-back rights and expectations. In a layoff, employees generally have no rights of recall and no expectation of the job returning. In a furlough, employees are usually given a time frame—although this sometimes changes, especially in a product shortage situation. To schedule employees with a contract for a furlough, including union-represented employees, employers must renegotiate the contract. Negotiations about employee furloughs generally include a call-back date. Examples of employee furloughs include closing a business for two weeks, reducing employee time on the job to three weeks a month instead of four, and asking employees to take two days a month off without pay. Employees have also been put on furloughs indefinitely. What Happens to Employee Benefits? During employee furloughs, benefits usually continue, which is one of the ways in which employee furloughs are distinguished from a layoff, where benefits generally end either at the last day of work or at the end of the month. Some companies extend benefits as a part of severance packages. Some states have implemented work-sharing programs. Work sharing is an unemployment insurance (UI) program that allows an employer to reduce the number of hours an employee works during a week while unemployment compensation makes up some of the difference in income. This arrangement allows employees not to suffer as much financially in a furlough. 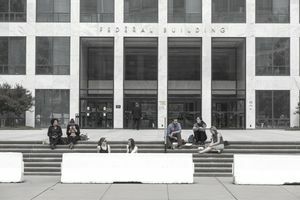 When federal or state governments implement employee furloughs, the employees are usually paid for the time on furlough when the budget crisis is over. This, of course, is a bad deal for the taxpayers who must pay salaries for the time when no work was performed. In a furlough situation, it's critical to enforce the no-work rule. Exempt employees who do no more than answer an email are entitled to a full day's pay, so make the rules specific. Perhaps tell employees to leave their devices at the office or stop your servers from delivering email. This may seem drastic, but the point of a furlough is to save the organization money. You can't do that if you have to continue to pay people. A nonexempt employee who performs any work during the furlough must also be paid, but only for time actually worked. If you're considering implementing a furlough, make sure your communication is clear and consistent with employees. Don't talk about the need for cost savings by furloughing your hourly employees while the management team receives bonuses. The furlough should be perceived as a group effort. You need not furlough everyone, though. Furloughing the manufacturing team while the marketing team continues working could make sense in a situation when the company needs to build sales. Is Early Retirement a Good Option for You?